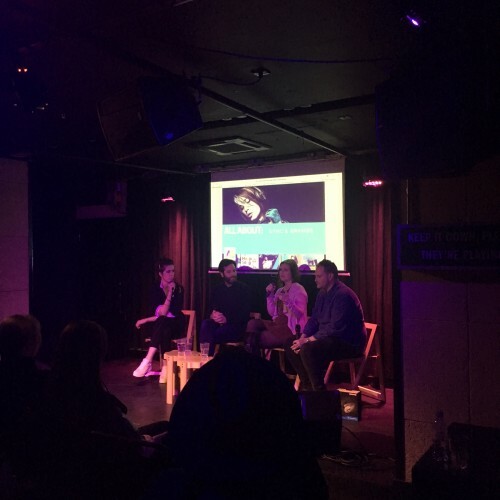 Last night we held our second All About panel of the year, moderated by our very own Imogen Heap. 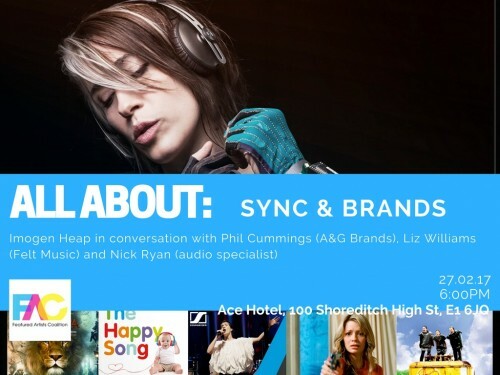 All About: Sync and Brands session took place at Miranda at Ace Hotel London Shoreditch. Imogen’s guests were AGS's brand coordinator Phil Cummings, Felt Music's Liz Williams, sound designer, composer and audio specialist Nick Ryan. Our panelists were not just sharing incredible information with our members, but also hung around for drinks and laughter after the official part. Tickets were £10 (including a free Welcome-drink) or free (plus free drink) for our Pro Tier Members.